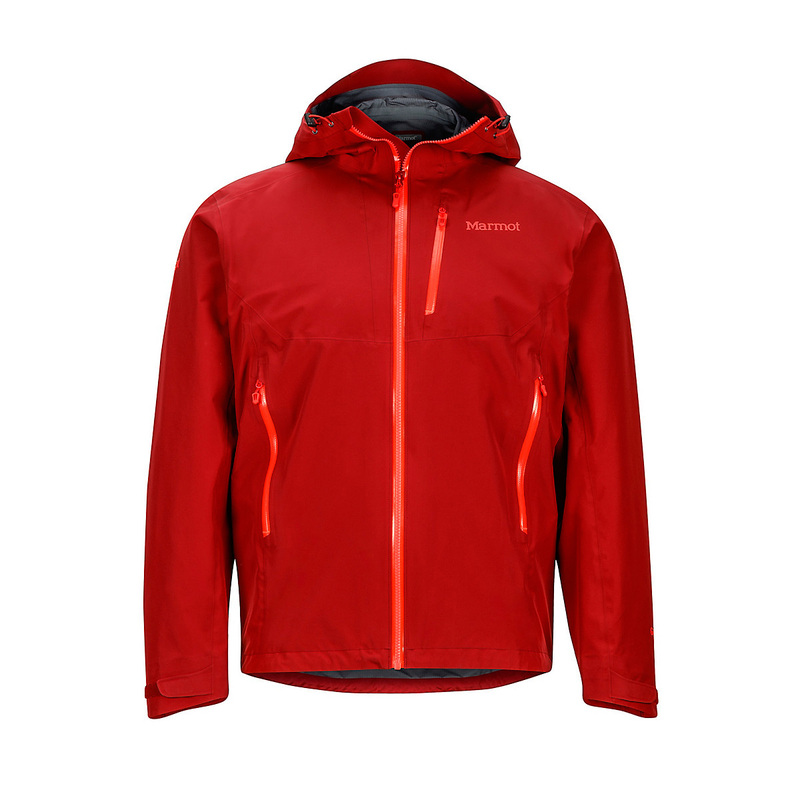 The Marmot Speed Light Jacket is a packable, heavy duty, three-layer GORE-TEX PRO shell. 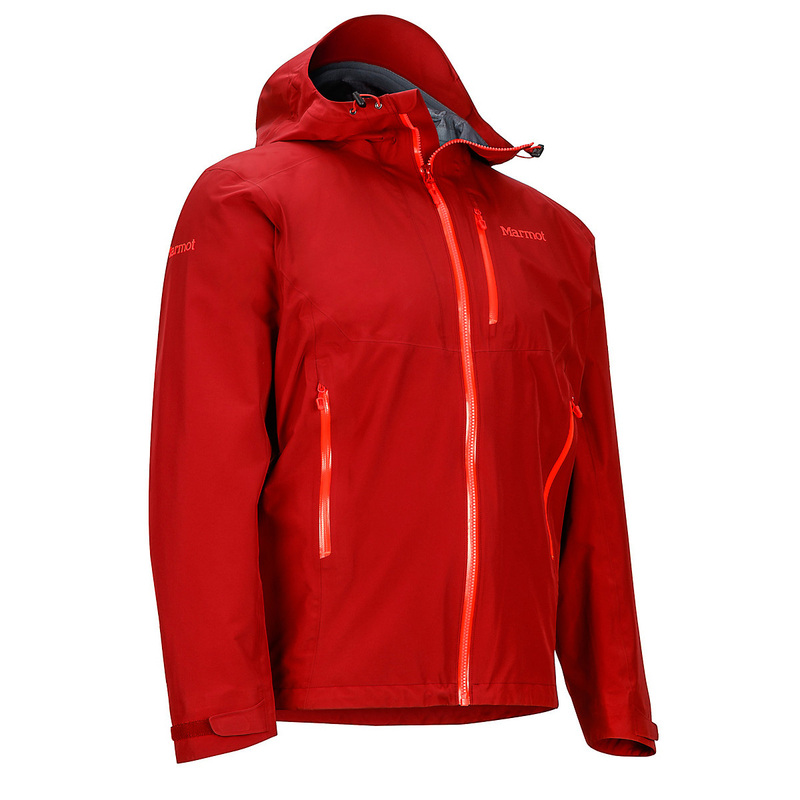 The jacket features Angel-Wing Movement™ for unhindered mobility. 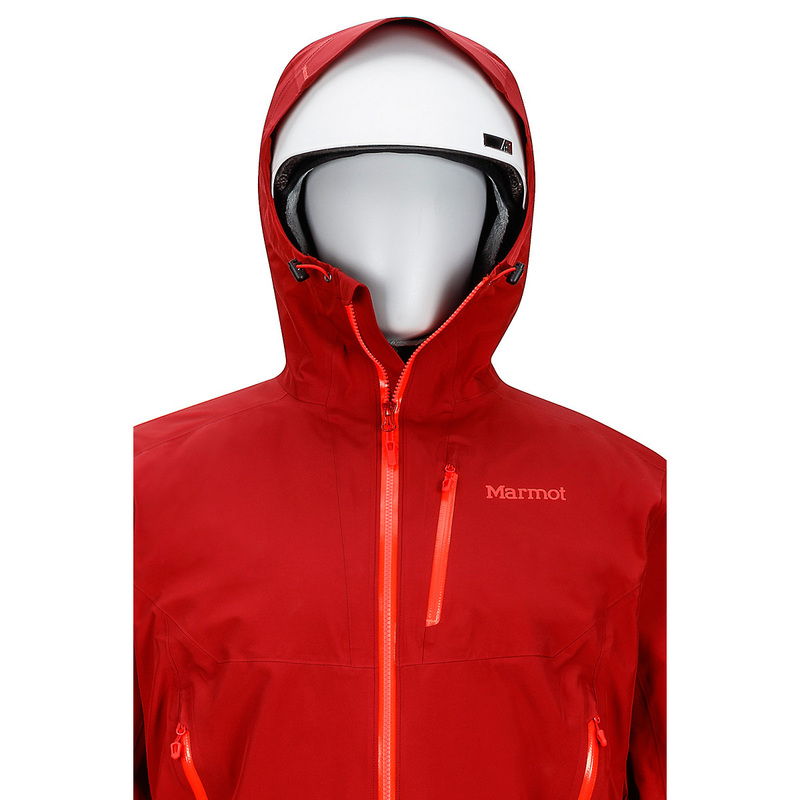 It's fully seam taped, waterproof and features Marmot's most technical laminated wire brim hood so this shell can take you through some of the most challenging weather environments! 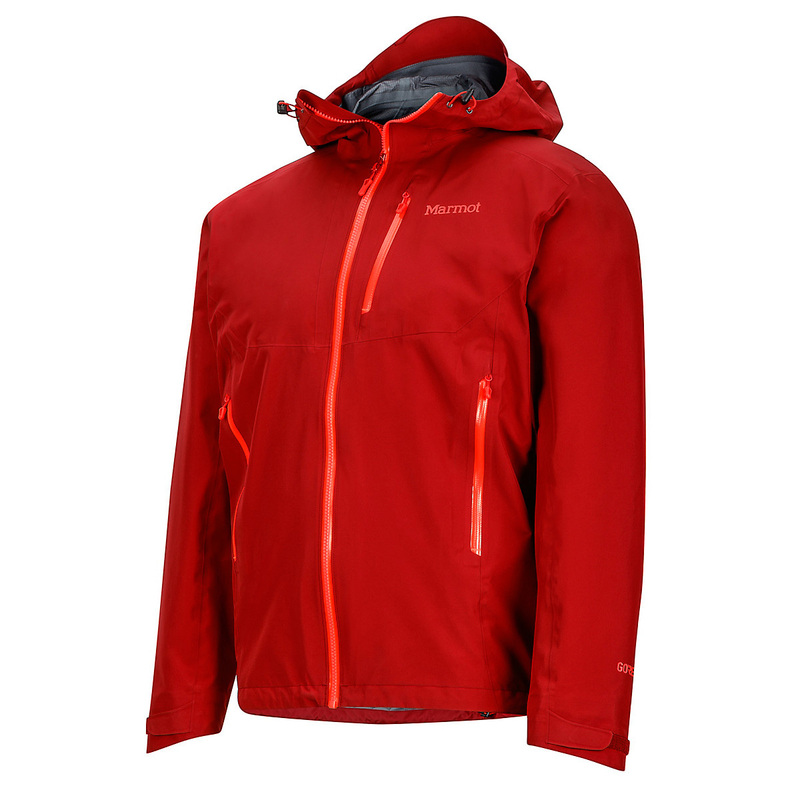 Gore is a fabric manufacturer best known for their waterproof, breathable fabric Gore-Tex. The key to Gore-Tex is a membrane which provides the tech performance of the fabric; it is made of the same Teflon that is used to make your pots and pans non-stick. The real trick is making this super non-stick and delicate substance stick the the protective fabrics which turn it into the outdoor fabric we know and love. The bit which makes Gore-Tex special is this glueing process which is done in their top secret, big, blue machine. Only a few members of Gore’s staff know how this is done, it’s one of the biggest secrets in outdoor kit and has been the subject of many a nerdy forum post. The next generation of GORE-TEX® Pro products utilizes a totally new, patent pending, membrane technology. 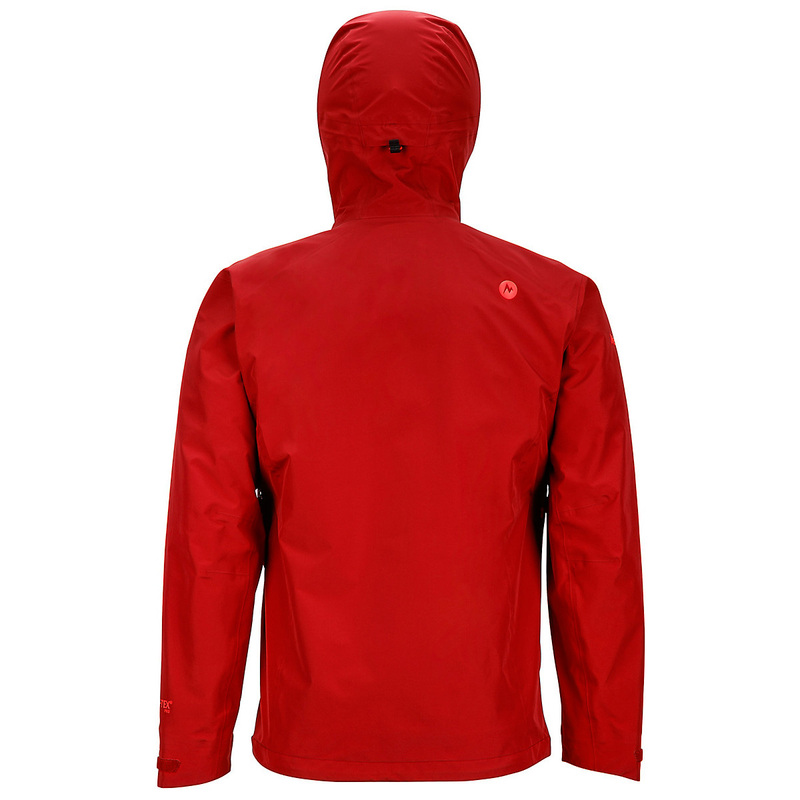 This new membrane, which is used exclusively in GORE-TEX® Pro products, consists of multiple ePTFE (polytetrafluoroethylene) layers with a unique microstructure. These new GORE-TEX® Pro fabrics are Gore's most durably protective mountaineering hard shells ever.